Welcome to the return of the Seller Spotlight – an invitation to shine a light into the life of one of our members. 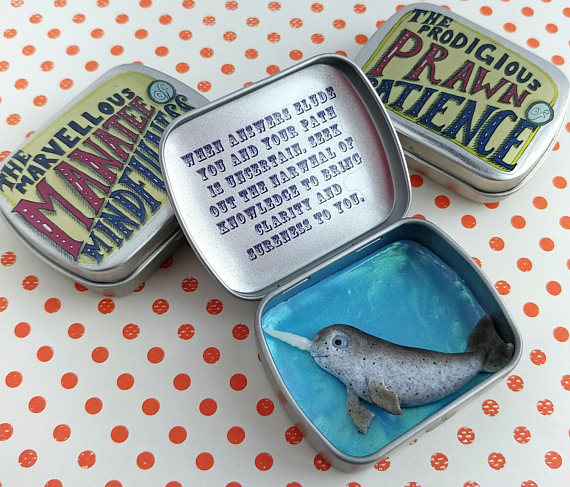 We also take a peek into their Etsy shop and pick out some of our favourites. We asked our featured sellers about their inspiration, their product ranges and their amazing craft ‘collections’ so we could share with you what it’s like to be an Etsy seller. Today we take a little browse through the enchanting work of Jenny from Mythillogical. Jenny is also an Ideas Birmingham Team Leader and one of the 3 Amigos. A name we were calling ourselves during the planning of the recent Etsy Made Local market. 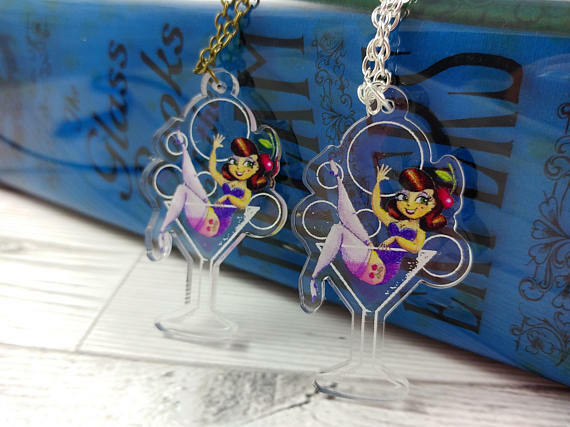 With volunteering to do so many team-related jobs along with designing the promotional materials for the EML events we wonder how she has time to make these beautiful and intricate characters and accessories. I have always made things, even from a young age I used to fill up my shelves with the little Fimo models I had sculpted. I studied Illustration at University, but even during that time was still irresistibly drawn to three dimensional art, and ended up making models to photograph and turn into 2D illustrations. After leaving Uni, I continued to make, but living in a small two bed terrace, the work really needed to have somewhere to go! I had been toying with the idea of selling for a little while, but found the whole concept of tax returns, insurance and all of the regulations that go with distance selling a little daunting. In the end it was a request for a needle felted bunny rabbit version of Sir Digby Chicken Caesar that was that final push I needed to go ahead and do it! I’m inspired by fairy tales, and story telling traditions. I particularly like Grimm’s, Hans Christian Andersen, and Eastern European and Russian fairy tales. I also love Children’s picture books, particularly the work of Maurice Sendak, Arthur Rackham, Tony Di Terlizzi, Emily Gravett, Alexis Deacon, Oliver Jeffers and Gemma Merino. I also love films and animation. The work of Laika is incredibly inspiring, and I like Czech animators Jiri Trnka and Jan Svankmajer. My favourite director is Jean Pierre Jeunet. What do you remember about your first sale? 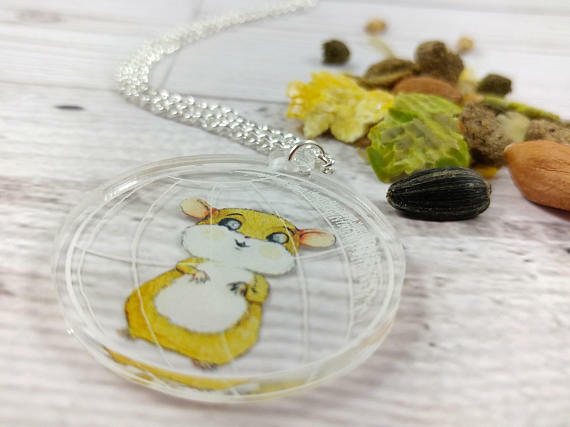 It took two months from opening my shop to make my first sale. I remember being both shocked, excited, pleased that my first sale was one of my favourite pieces, and also a little sad to see the piece go! I was nervous that the customer might not like it too! Thankfully, it all worked out fine. What do you feel is your biggest achievement so far? My biggest achievement is that I opened a shop at all! I often talk myself out of doing things, because I don’t think I’ll be good enough, or think I won’t be able to handle it. I’m so glad I did, and that it’s steadily growing and improving year on year. What could you and your business not live without? I couldn’t live or run my business without the support of my lovely husband and daughter. They put up with a lot from me! They are also instrumental in my design process, being the sounding board I use to bounce ideas off. 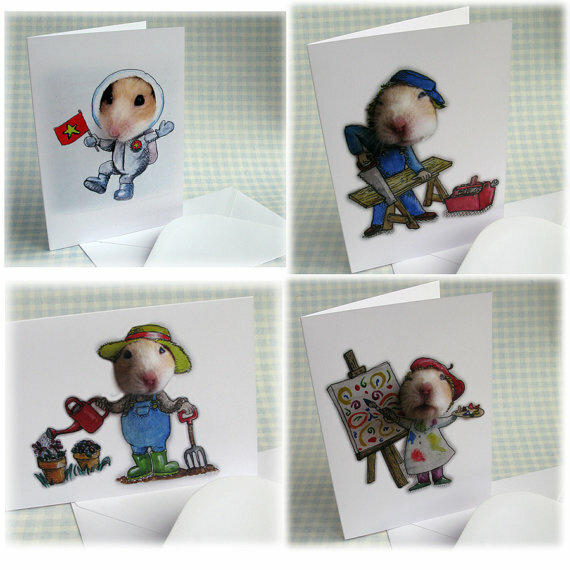 The hamster dress-up greetings cards came about entirely as a result of my daughter wanting to dress up her hamster in doll’s clothes- so I definitely have her to thank for that! I don’t know if I have a favourite. 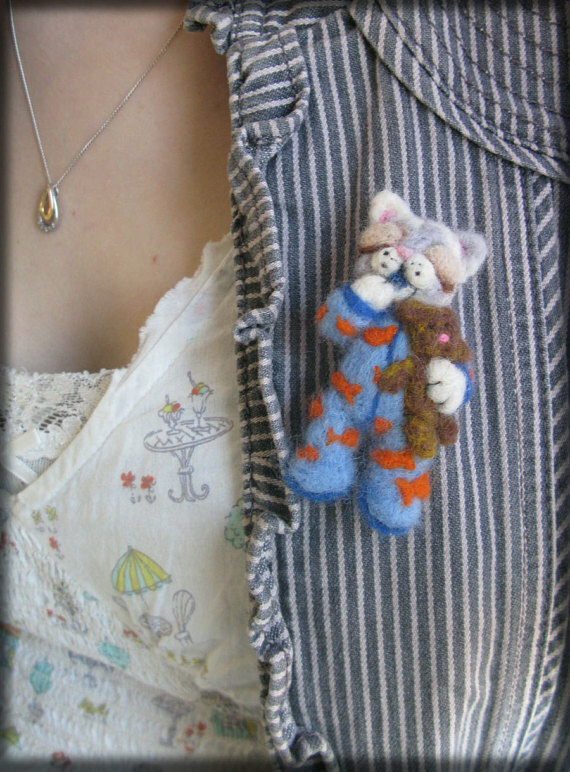 Hamlet and my sloths are the most popular, so I like having them in my shop, knowing that people like them. 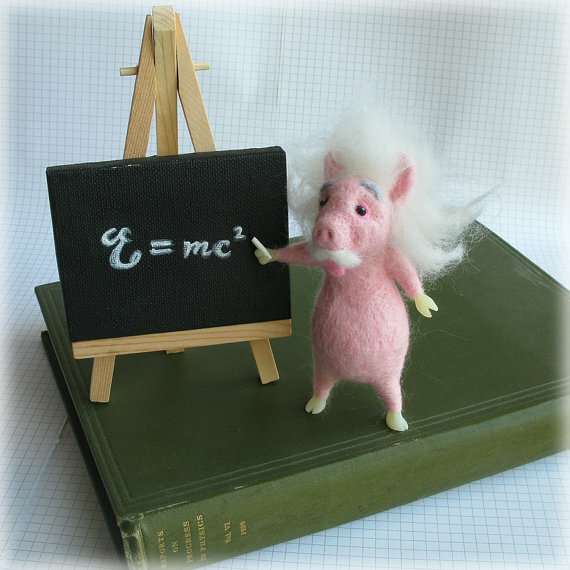 I like my Albert Einschwein model, because he’s silly and cute. I also like my gardener mole, because I like animals in wellington boots! 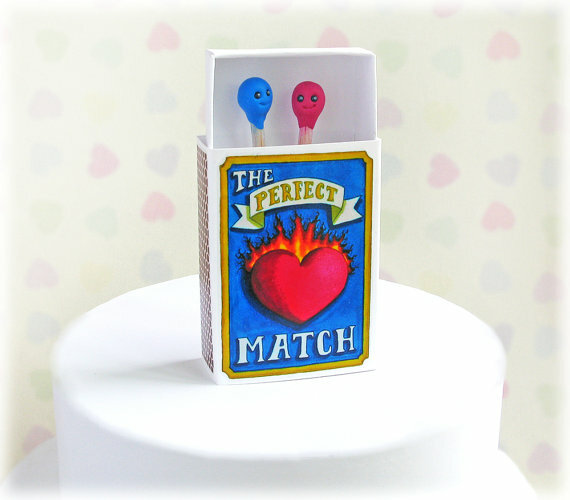 I also like my Perfect Match cake topper, because I thought it would be quite a niche item, but it’s turned out to be quite popular to couples who want something unique for their wedding, but don’t have a huge budget. My favourite products are probably custom commissions though- I’m still an illustrator at heart, so I love a good brief to work to! 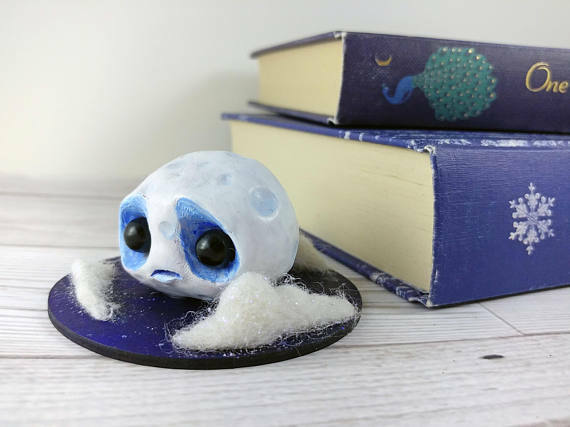 What advice would you give to someone starting an Etsy shop? Be patient- don’t expect that everything will happen straight away, it takes time to get noticed. Don’t compare yourself to other sellers- it’s too easy to fall into the trap of thinking that everyone is much more successful than you, and it’s not really helpful! Enjoy it!- you need to love what you do, otherwise why are you doing it? I’m still trying to learn not to compare myself to others, and to recognise that my version of ‘success’ might be different from other people’s, but it doesn’t make my achievements any less worthwhile. Where do you see the future of your shop? The future for me is just to continue to love what I do. I don’t have plans to quit the day job, or become immensely popular, of course this has crossed my mind as a big dream, but it’s not very practical or constructive thinking for me personally, as I become down-hearted thinking I’ll never get there. The future of my shop that is achievable is that the quality will continue to improve, and I’ll make new and interesting pieces that keep me engaged and happy year on year! Would you like to be featured in our Seller Spotlight? You need to be an Etsy seller from Birmingham and the surrounding areas and a member of IDEAS Birmingham to be featured in our Seller Spotlight. If you’re already a member you can find information on how to apply in this forum thread.